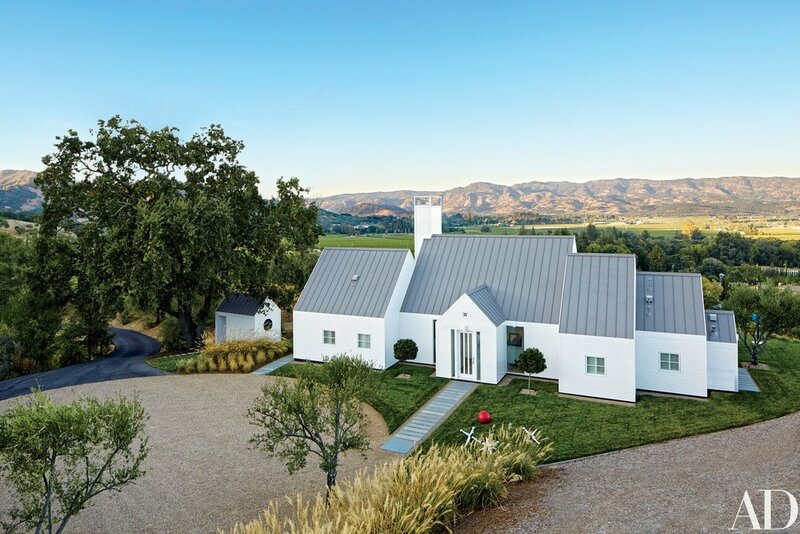 Overlooking the Northwestern edge of Napa Valley, this efficient 1,750 square foot weekend house explores its connection to the landscape by blurring the lines between inside and out. Simon and Hugh Jacobsen aligned the house at the edge of the contour overlooking the vineyard. Full height glass walls open out from each space across the plan onto a common terrace that overlooks the changing seasons and peacefully rolling fog of the valley. The home incorporates an open kitchen/living/dining area that serves as a division between the modest master and guest suites so that the two parties can act autonomously. 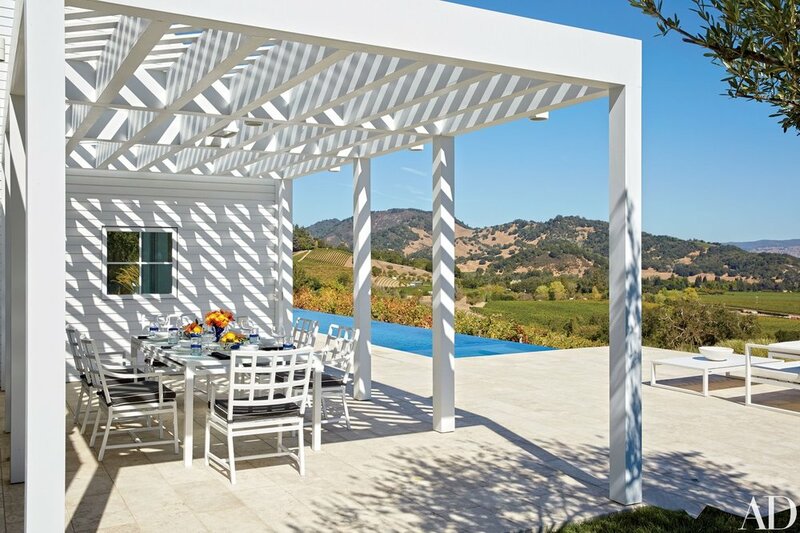 The infinity edge swimming pool further creates a seamless connection to the view of the Napa Valley wine country. Note: This house survived the horrific Napa fire of 2017. Architectural Photography: Courtesy CondéNast, Simon Jacobsen.